Harry Potter became my saviour over the summer holidays due to the bad weather and my growing workload. Harry started watching the films a couple of years ago but more recently we have started to read the books together. 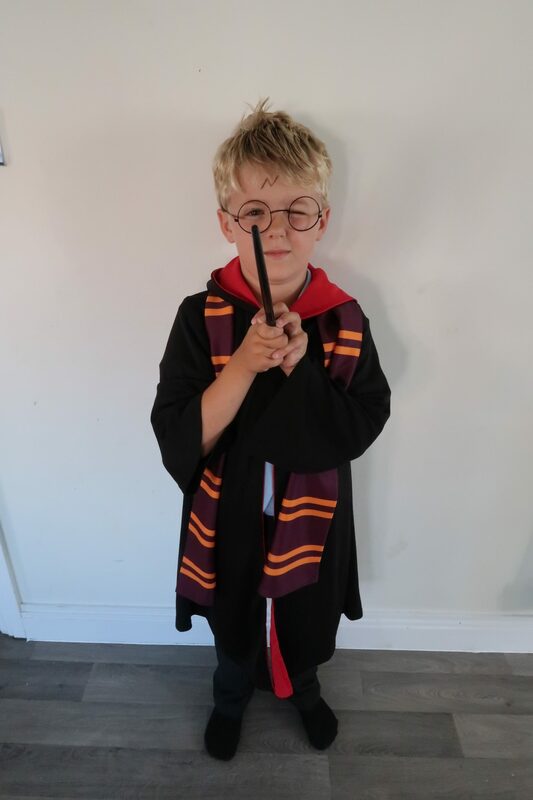 I wouldn’t say that Harry was a natural bookworm so it has been a joy to see him getting so enthusiastic about Harry Potter. As any avid Harry Potter fan would agree the books are by far better than the films ( sorry Daniel Radcliffe ). We have so far read the Philosopher’s Stone, the Chamber of Secrets & are 1/2 way through the Prisoner of Azkaban. I think as they have the same name Harry is starting to think he is Harry Potter and has taken to wearing his cloak any chance he gets and casting spells on anyone who enters the house. 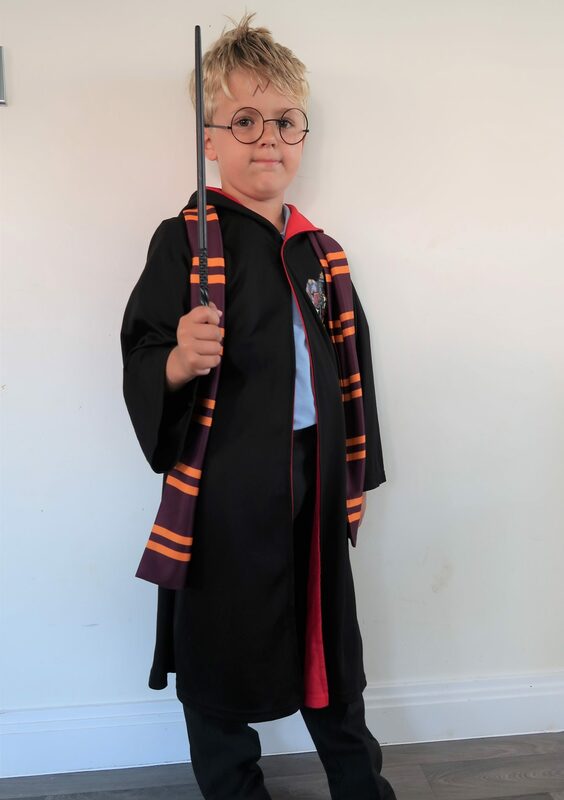 Harry was introduced to the wonderful world of Harry Potter by his dad who has loved the books & films from a young age. Our last holiday before we had Harry 6 years ago was to Florida so we could go visit the newly opened Harry Potter Land at Universal Studios. Harry loves looking at our photo’s from the trip and is presently saving up his pocket-money to take the whole family next year (more like 2045) . 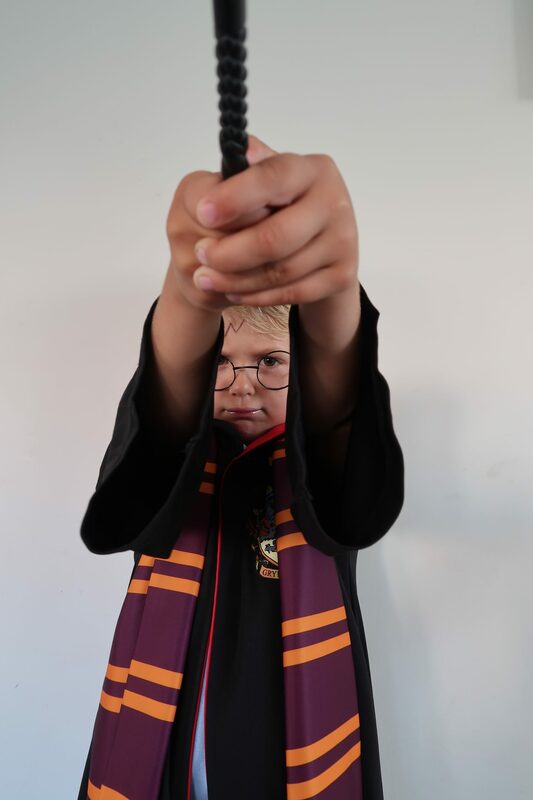 For his recent Birthday, Harry asked for anything Harry Potter related. We now have a large collection of T-shirts , cups, bobbleheads, hats & scarves adorning the house. It’s started to feel like we live at Hogwarts. So far we haven’t had a request for a pet owl but I can see that coming soon. Each night while sat in the bath he makes potions and casts spells on Charley to turn her into a Frog. The Harry Potter series has taught Harry about friendship, loyalty, being part of a team and has really made his love of books grow. It has become a nighttime ritual for us both to curl up on the sofa, with a blanket and read our latest book acting out all the characters. My only problem is what we do to keep his new found love of books going after we finish the Deathly Hallows. Lets hope another series casts a spell on Harry as I feel there will be a gap in our life after Harry Potter conquers Voldemort. "My New Gucci Handbag – Vestiaire Collective Site Review"